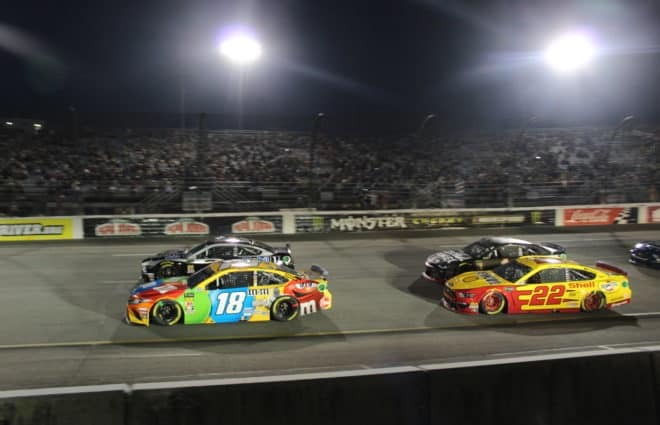 With the thunder of NASCAR engines once again disturbing the peace along International Speedway Blvd in Daytona Beach, the 2019 season is officially underway. The underdogs are back in action and each seeking to taste a little success. What success really means is as varied as the independent teams themselves, but Daytona presents as good of an opportunity as any. So just who are our underdogs this year? Let’s get acquainted (or in some cases, reacquainted) with the rest of the pack. One of the most consistent underdog teams is JTG Daugherty Racing. This organization is the most well funded, which has plenty to do with how successful it is. Chris Buescher returns to the No. 37 and will be joined by Ryan Preece in the No. 47. Preece turned a lot of heads when he claimed two victories over the past two seasons running a limited schedule for Joe Gibbs Racing in the Xfinity Series. Preece should contend for the Rookie of the Year title and both he and Buescher should have at least a few top-10 finishes at season’s end. Leavine Family Racing has undergone significant changes since the checkered flag waved at Homestead last November. 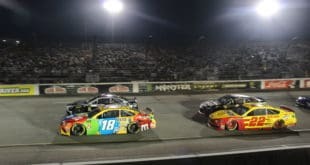 The team swapped their Chevrolets for Toyotas and the retirement of fan favorite Kasey Kahne opened up the driver’s seat. LFR opted for another significantly popular driver, Matt DiBenedetto. 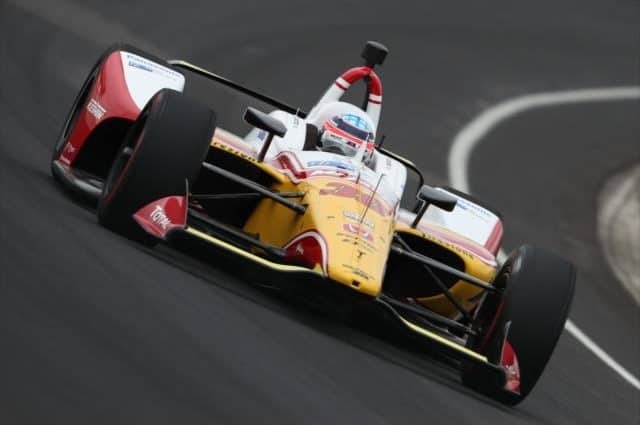 Dibenedetto, who moves on from Go Fas Racing, should be capable of finishing in the top 20 on a regular basis, and expect a few top-10 finishes from this bunch as well. Go Fas Racing has brought in Corey LaJoie to be the face of that organization, literally. LaJoie has already been the talk of the town as far as underdogs go because his No. 32 Ford features his face prominently across the entire front end of the car for the Daytona 500. New sponsor Old Spice and new driver Lajoie have certainly gotten the attention of the garage with their car design. Whether they will get as much attention with their finishes remains to be seen. Look for the son of two-time Xfinity champion Randy Lajoie to gather up a few top-20 finishes as the team looks to continue their gradual climb toward being competitive. Front Row Racing returns both David Ragan and Michael McDowell for 2019. Bob Jenkins’ team always seems to have a decent amount of sponsorship for an underdog outfit, and it contributes to Ragan and McDowell finishing in the top 20 more often than most others. 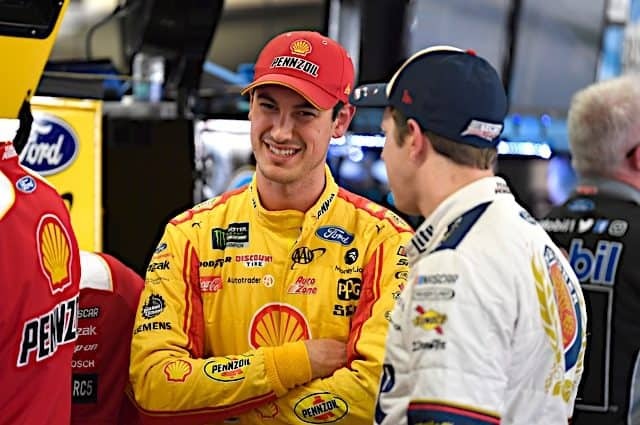 The two drivers both run very well on restrictor plate tracks and both are dark horse candidates to pull off an upset win in the 500 next week. Jenkins will also field a third Ford for Matt Tifft as he makes a run at the rookie crown. Look for McDowell, an excellent road racer, to also run well at Sonoma Raceway and Watkins Glen International. Back for his third season at the helm of Germain Racing is Ty Dillon in the No. 13 Chevrolet. 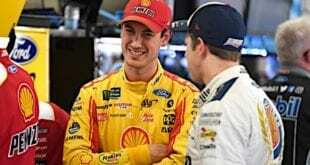 Dillon earned his first top-10 finish last year in the July race at Daytona and could challenge for a few more such finishes in 2019. This team also runs consistently in the top 25 and keeps making strides to become more capable of running well. Additionally, Bob Germain will field a second car for the Daytona 500 featuring former driver Casey Mears. 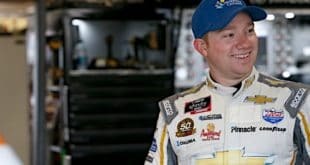 Mears will be making his first Cup start since 2016, but will likely be a dark horse contender as well as a favorite value pick of fantasy racing players. StarCom Racing returns with Landon Cassill behind the wheel full time for 2019. Cassill ran most of last season for the team with a best finish of 18th in the fall event at Las Vegas Motor Speedway. This team will be looking for the occasional top 20 and keeping the cars undamaged will be of the utmost importance for the largely self funded organization. Rick Ware Racing returns with a rotating cast of drivers for the 2019 season. B.J. McLeod will be behind the wheel of the team’s primary car, the No. 51 Chevrolet for the Daytona 500. Cody Ware will run the No. 52, the team’s second chartered car, in the 500. Like StarCom, this team will be primarily focused on keeping their cars out of trouble. Look for an occasional top-25 finish, but this team still has a bit of ground to cover before they can think about regular top-20 results. 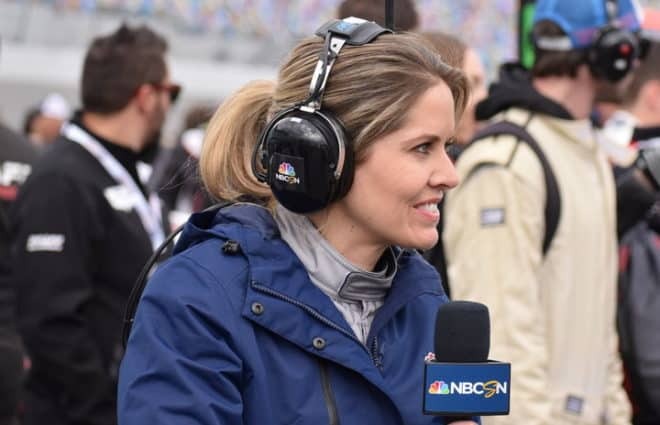 Premium Motorsports is back running a full schedule but with a vast array of drivers, much as they did in 2018. Ross Chastain will pilot the No. 15 Chevrolet for the Daytona 500. Much like Rick Ware Racing, Premium needs to take care of equipment and simply finish races right now. There will be top-20 finishes, like the two the team collected last year, but for the time being, this group is focused on gradual improvement. Gaunt Brothers Racing is essentially in the same boat as Premium. 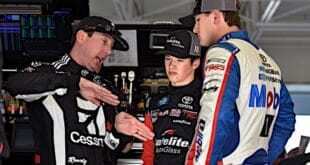 They will likely rotate drivers throughout the year, with Parker Kligerman occupying the seat during Speedweeks. This team also falls into the category of “seeking gradual improvement.” A top 20 or two isn’t out of the question, but I wouldn’t expect them to risk a car to gain a spot or two. Hailing from Clarksville, TN, Clay Greenfield started out racing in the now defunct United Auto Racing Association (UARA), an asphalt racing league that ran in the southeastern United States from 2001 to 2014. Now, the 34-year-old makes a handful of starts each year in the Gander Outdoors Truck Series with his homegrown team. While never making more than nine starts in one season, Greenfield and company focus on being as competitive as possible in the select few races that they run. The Bill Alger owned No. 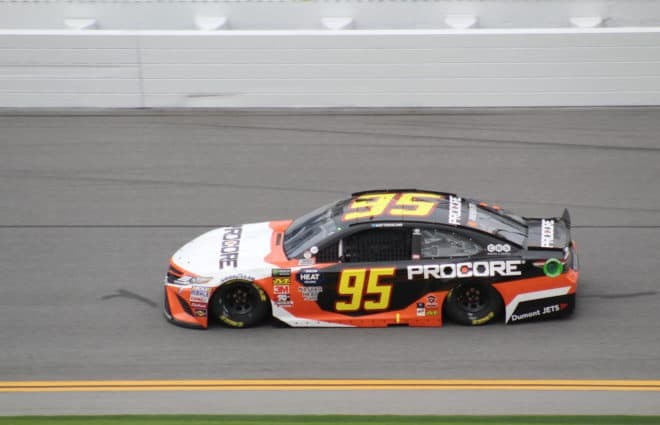 68 runs particularly well at restrictor plate events, as Greenfield has a top-10 finish at both Daytona and Talladega in his limited truck racing career. Greenfield also led his first lap in truck competition at Talladega in 2017. Greenfield will again run a limited schedule in 2019. Greenfield’s next start will be in Alger’s ride in the season opener at Daytona International Speedway.
.@bjmcleod78 will be the first of the RWR cars to lay down a lap @DISupdates in #Daytona500 Qualifying.